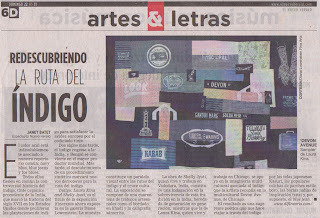 May 14, 2011 laura kina and I traveled to Miami, FL for the opening of our show Indigo. This is the 5th stop for the exhibition. In 2009-2010 the show traveled in India and in 2011, we started touring the show in the US. It was wonderful to catch up again in person and I certainly don't mind Miami's sunny weather! The DLF Project Room features work by an artist from Philadelphia - Caroline Lathan-Steiefel. 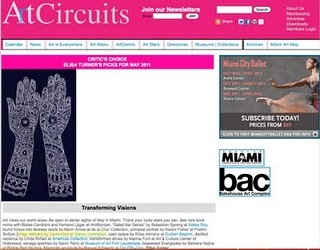 Here are some installation shots of our work at Diana Lowenstein Fine Arts as well as two press items that came out this week from El Nuevo Herald and Art Circuits. The color blue is enduringly associated with our common repertoire: navy blue, blue jeans, the blues, all of which share the controversial history of indigo. This natural dye from India figured prominently in United States history of the 17th century, when indigo plantations proliferated to satisfy the European hunger for the desired shade. Two centuries later, indigo returned to India, and Bengal became the main producer in the world. Later, the discovery of a synthetic process would set indigo on a new course. 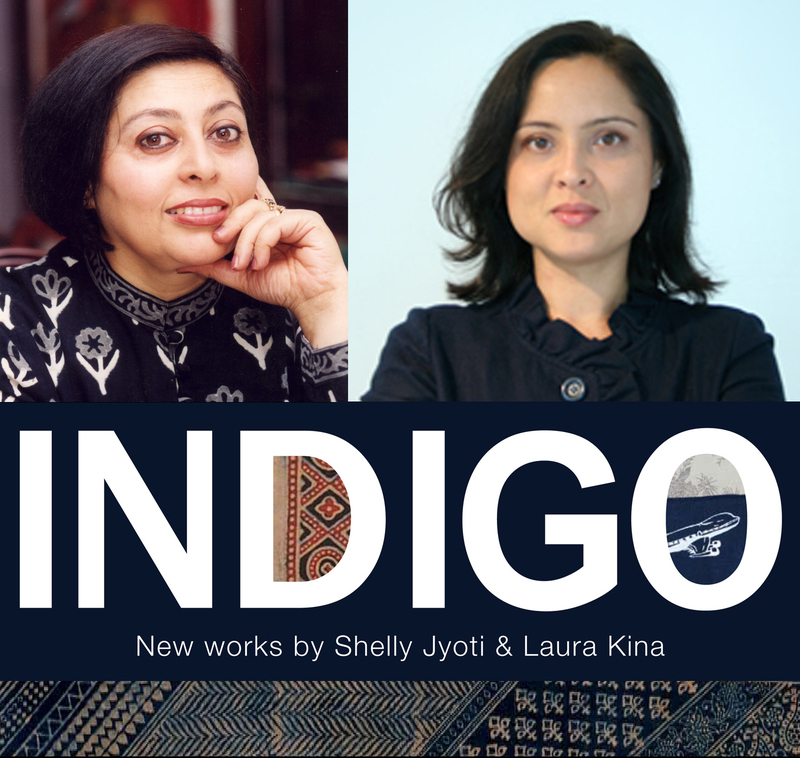 Indigo: Laura Kina and Shelly Jyoti, is the title of the traveling exhibition now presented at Diana Lowenstein. The show creates a visual parallel between indigo’s journeys and the its cultural influence. The exhibition is composed of numerous crafted works such as embroidery on khadi and Sanskrit calligraphy. The work of Shelly Jyoti, who lives and works in Vadodara, India, consists of study into the survival of this tradition in India, passed down from generation to generation. 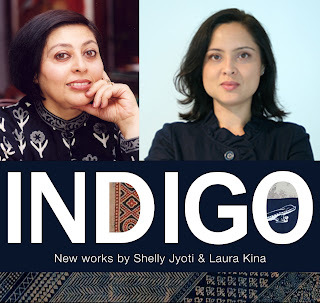 Meanwhile, Laura Kina, who lives and works in Chicago, relies on the multicultural symbology associated with indigo, which the artist acquired on multicultural Devon Avenue in Chicago. The result is an emerging poetry which, through indigo, allows us to travel by Japanese Kasuri textiles, boro patchwork quilts, Jewish tzitzi-inspired tassels and, of course, blue jeans.